Lyle M. Spencer, Jr., Ph.D., is Managing Director, Hay McBer Center for Research and Technology. His previous books include Competence at Work: Models for Superior Performance and Calculating HR Costs and Benefits, both published by Wiley. 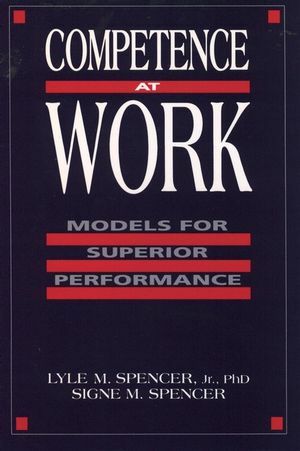 Signe M. Spencer is the author of Competence at Work: Models for Superior Performance, published by Wiley. Competency-Based Human Resource Management in the Future.